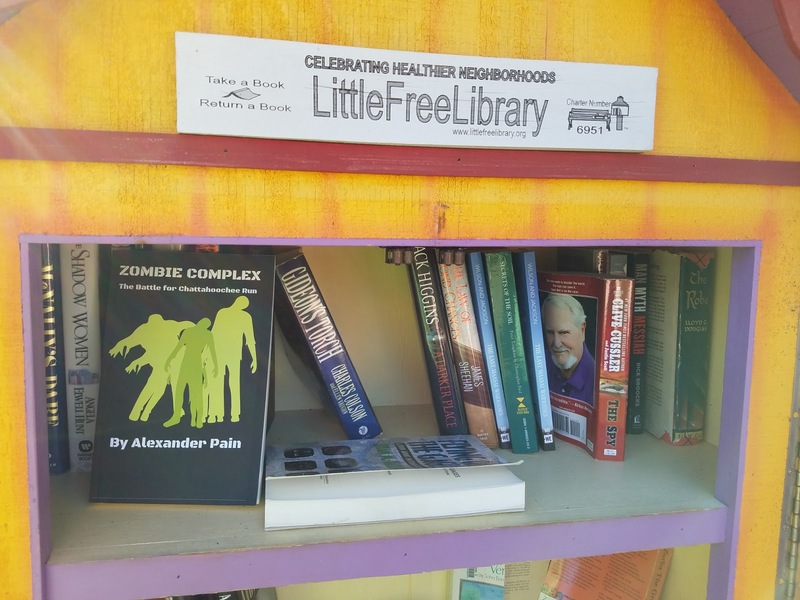 As part of the effort to get the word out about Zombie Complex, I've donated copies of the book to a few Little Free Libraries in Georgia. 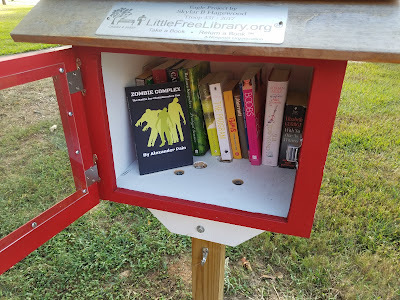 So far, I've donated to Little Free Libraries in the cities of Atlanta, Roswell, and Young Harris. It's probably not the most efficient way to distribute books, but it is a lot of fun. It's like a treasure hunt, but I'm dropping off something I treasure--a novel I worked hard on. 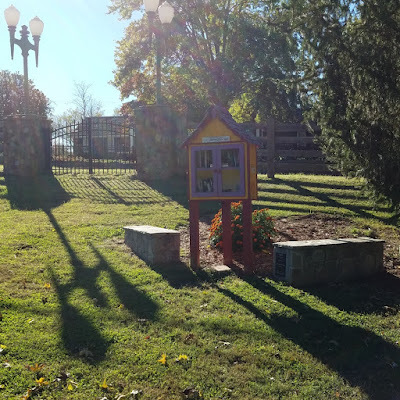 First, finding the Little Free Libraries is a bit of a challenge. They are listed on the internet via the Little Free Libraries website. However, the address is often approximate and once there you have to find the actual library box. In searching for Atlanta area locations, I've traveled to some different neighborhoods and found some nice walking neighborhoods. 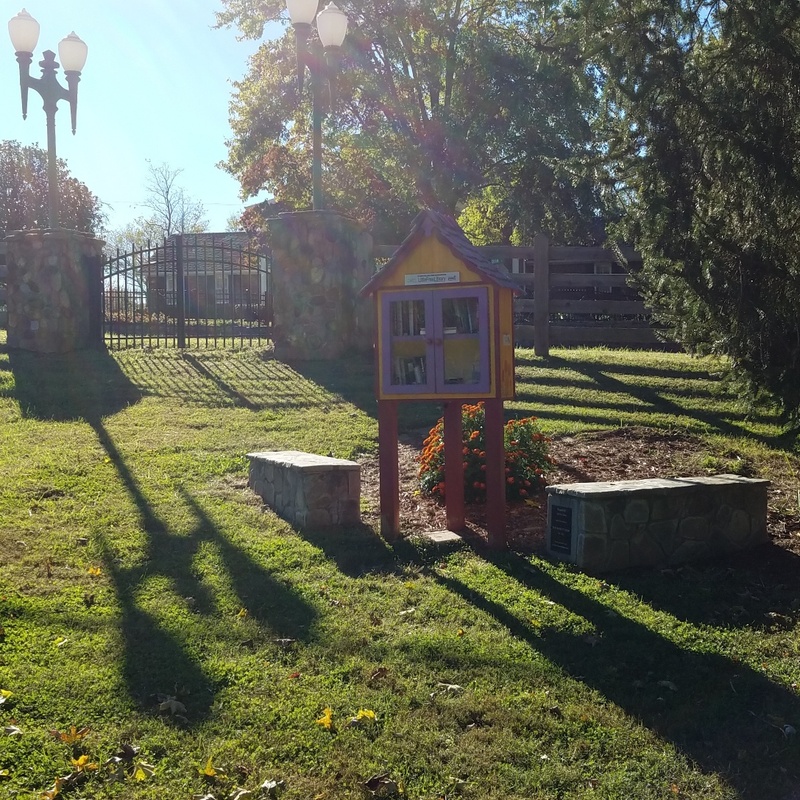 Little Free Library in Young Harris, Georgia. Second, once you are in the neighborhood and at the address, you actually have to spot the library. It's not always easy from a moving car. They are small. You have to keep your eyes open. The libraries are about the size of mailboxes and sit at some location near the address listed. Once you get the knack for spotting them, the task becomes easier. Since there are 75,000+ around the world, you often see them in unexpected places. My wife and I were driving through the Georgia mountains and she actually spotted the one in Young Harris. 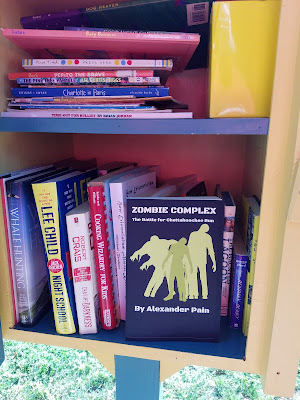 Since I happened to have a copy of Zombie Complex, we dropped it off. If you happen to find a copy of Zombie Complex in a Little Free Library near you, please feel free to leave a review on Amazon, Goodreads, or your own blog. Every mention and every star helps in the task of getting the word out!